If you’re looking for the color YANA from Zoya I’ve found the perfect match! 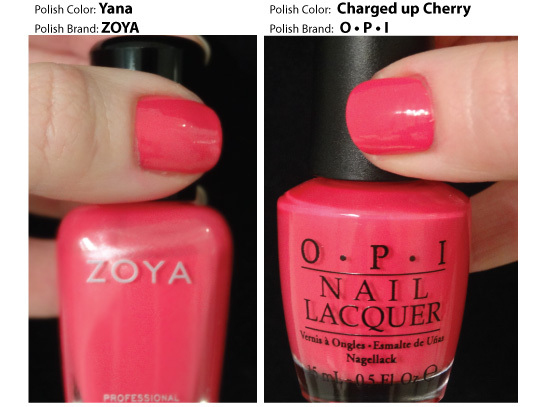 Charged Up Cherry by OPI is an identical peachy, coral nail polish that glides on just as evenly as ZOYA. Take a look at my swatch comparison below. Try it out.. these colors are great for manicures & pedicures. Perfect Summer Shades! Next: Next post: Dot Nail Art!